Air accident investigators have published a second interim report on the Shoreham air show crash along with a series of recommendations. The crash investigators are trying to work out exactly what happened when a 1950s Hawker Hunter jet crashed on to the A27, killing 11 people, on Saturday 22 August. 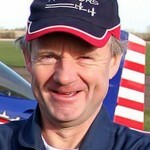 The pilot Andy Hill miraculously survived and was interviewed by police for the first time last Thursday (17 December). The latest crash report was published today (Monday 21 December) by the Air Accidents Investigation Branch (AAIB), part of the Department for Transport. It said that the Civil Aviation Authority (CAA) was unsure whether the Hawker Hunter “met the requirements of its Permit to Fly from December 2014 onwards”. The AAIB made seven safety recommendations, including two relating to ejector seats and others relating to regulatory procedures and technical guidance. 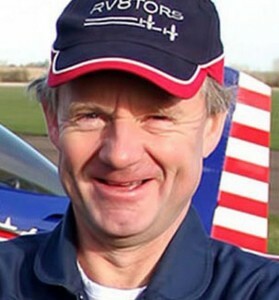 The investigators’ report highlighted the dangers of dealing with an aircraft which has an ejector seat after the Shoreham crash in August and after another crash three weeks earlier. 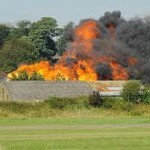 The report said: “Some of the pyrotechnic cartridges were still live but had been subject to impact forces and post-crash fire. “This posed a significant hazard to the first responders and to other personnel on the accident site. “Accident response and investigation work in the vicinity of the seats was delayed until competent persons were brought to the site by the AAIB to make the seats safe. “In both cases, the respective air display organisers did not have access to relevant aircraft hazard information or emergency contact details for organisations which could render the seats safe. The report also said: “It is recommended that the Civil Aviation Authority review the guidance … with respect to ejection seats and the means by which operators of ex-military aircraft equipped with them comply with this guidance. “It is recommended that the Civil Aviation Authority promote a process for the effective dissemination of ex-military jet aircraft experience and type-specific knowledge between individual maintenance organisations. “It is recommended that the Civil Aviation Authority establish a minimum amendment standard for the technical publications for each ex-military jet aircraft operated on the United Kingdom civil register. The report follows an earlier “special bulletin” which was published on Friday 4 September “to provide preliminary information about the accident gathered from ground inspection, radar data, recorded images and other sources”. The controls were responding to the pilot throughout the flight, investigators said, a finding that some have interpreted as indicating that the crash was the result of pilot error. It added: “The AAIB continues to examine the aircraft and its maintenance records to determine its condition before the accident.